If you’re an audiophile and are seeking for the ultimate sound performance, then Definitive Technology W7 is a must have. It’s made out of the highest quality materials and will make your listening experience way better than what you’re probably used to. First of all, let’s talk about its sound. With a 4-inch mid/bass driver, the speaker can achieve a wide range of tones, especially those deep ones. It’s designed to send sound in three separate directions and is most suitable for small and medium sized rooms. Not to forget four aluminum dome tweeters that contribute to the room-filling sound. 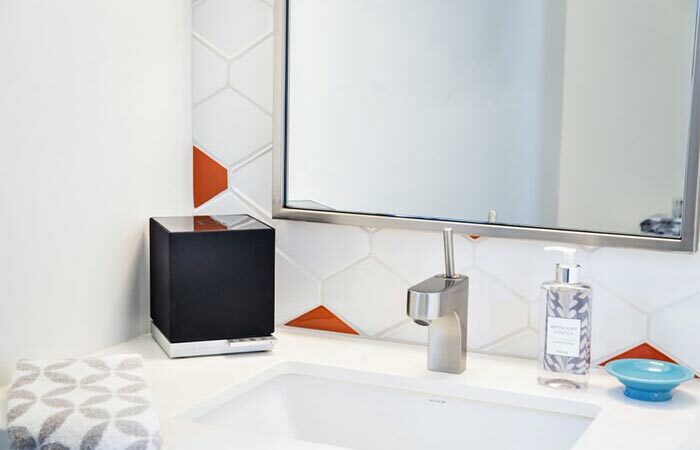 This cube-shaped wireless speaker features four 1 inch aluminum dome tweeters and one 4 inch mid/bass driver. W7 has a cube shape and you can easily pair it with other W7 speakers. Since this one is wireless, use it to stream music from all sorts of other devices like your phone, tablet and computer. In order to use it, first download the app from either Google Play, Kindle or the Apple App store. Then, turn on the speaker and follow the instructions from the app. In no time you can play music from your playlists and services like Pandora, Spotify and a variety of internet radio stations. It’s great for small and medium rooms like the kitchen, bedroom, and bathroom. 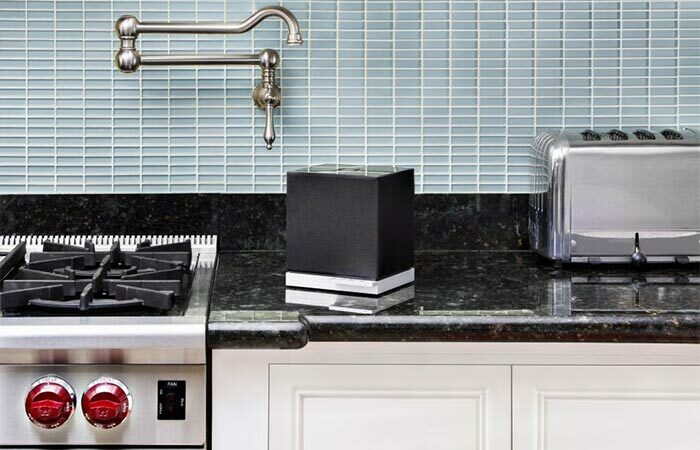 Just like we mentioned, Definitive Technology W7 Wireless Speaker is very easy to set up. 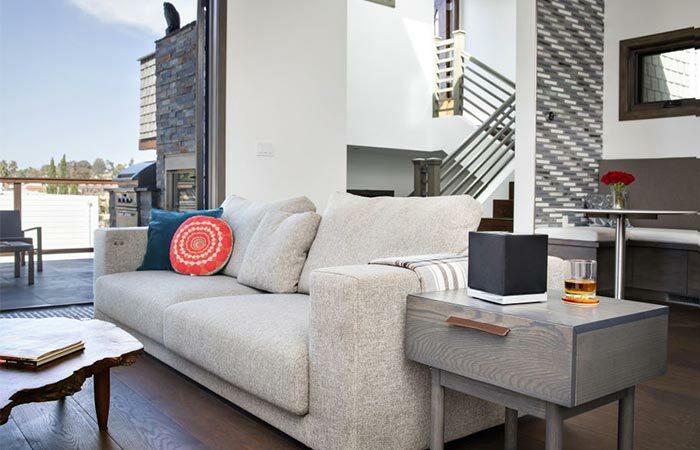 You can use more speakers, set them in different rooms and let the music play simultaneously. With the dimensions of 6.9 x 5.9 x 6.6 inches, it’s very compact as well. The design is minimal and it can go along greatly with different types of interior. Lastly, the speaker is available in two finishes- black and white. In order to use it, simply get the app and connect to your network. It allows you to stream music and you can pair more W7 speakers together.